Top 10: Petrol or diesel in 2017? Everyone will be paying more for fuel in 2017, with Brexit, the crash in the value of the Pound and a cut in the global production of oil set to add up to 9p to a litre to petrol and diesel. Despite the doom and gloom you can avoid the hike in fuel prices by finding a car with the lowest running costs. We've compared 10 of the UK’s most-popular petrol and diesel cars to find out which give the best value for money over three years and/or 30,000 miles. However, please note that modern diesels - with a diesel particulate filter - require more than 15 miles to operate properly and are not suitable for a succession of short runs from cold. The three-door Ford Fiesta 1.5 TDCi Econetic 95PS is one of the most-efficient diesels you can buy, with Ford claiming 88.3 mpg and 82g/km of CO2. 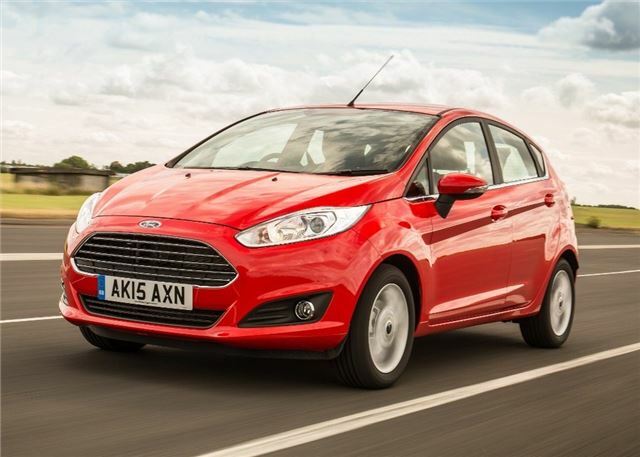 That’s 22.6 mpg more than the 1.0 EcoBoost 100PS, which makes the diesel a no brainer, right? Not quite. The 1.5 TDCi costs £1500 more to buy in Zetec trim than the EcoBoost and you'll have to travel 78,604 miles, before the diesel's annual savings of £191recoup the initial extra cost. Annual savings increase to £278 when you factor in Real MPG, but you'll still need to travel 53,973 miles before the diesel pays for itself. It's going to be interesting in the next two or three years as the political forces against diesel and the extra filtering requirements begin to make diesel an expensive and pointless exercise as there MPG advantage is whittled down further and the extra costs unless you are a very high mileage driver make the whole point of diesel ownership disappear. All the major manufacturers are bringing in new petrol engines in anticipation of a swing away from diesel and it is surely only a matter of time to when the have no advantage at all. Angelcyn is spot on. Diesel is going to be gutted over the next few years by the bureaucracy. With oil unlikely to return to three figures for a few decades due to Shale, diesel is a pointless throwback to a particular point in time when politicians were obsessed controlling plant food and peak oil was just around the corner. Looking forward to scrapping those diesels and breathing more easily! !